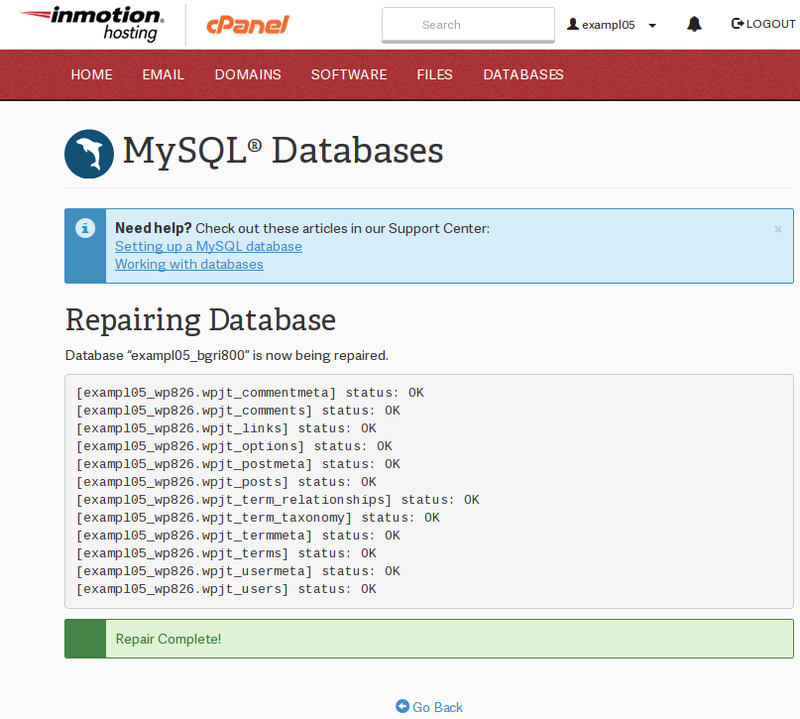 If you are experiencing issues with your MySQL database, you may need to repair it. In this article, we will show you how to run a full check and repair of your database within cPanel using just a few simple clicks. First, you will need to be logged into cPanel. Once inside cPanel, click on MySQL Databases. Within this page, you will see a section labeled Modify Databases. To repair a database, select the database that you want to check and repair in the dropdown next to Repair DB, and click on Repair DB. cPanel will then check and automatically repair all tables that require it. Congratulations, now you know how to check and repair databases in the MySQL Databases section of cPanel. We also have a helpful guide on How to Check and Repair a Database in phpMyAdmin. Guys, I am not technical and panic when I get database errors on my SMF forums. However, your tutorial was crystal clear. It took me five minutes to fix the problem and get my forum back on line. Thanks!